Me and my Mom manually removed the Peach leaves affected with Peach Leaf Curl disease. I then disinfect the pruners with rubbing alcohol so we don't spead it around. 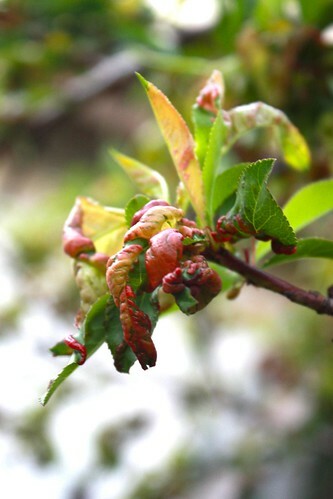 The Peach usually will sprout more leaves which are no longer affected with Leaf Curl disease. This usually occurs in March. I need to do some research to figure out what to do next year to avoid this disease.